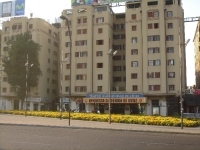 The meeting point for all tours is the Plaza Italia. 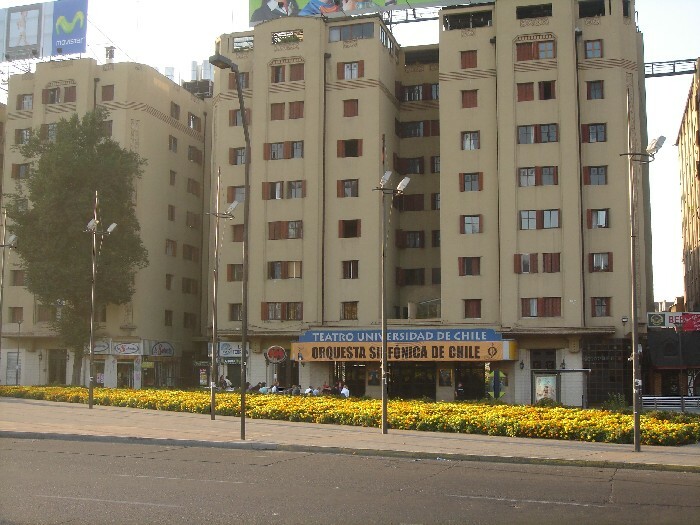 We meet at the exit of the metro-station Baquedano, in front of the Universidad de Chile theater. Plaza Italia, also known as Baquedano, is one of the central squares of Santiago and is located at the east end of the Alameda (Avenida Libertador Bernardo O'Higgins), at the intersection of Alameda and Avenida Vicuña Mackenna. It's situated east of the center, south of the Barrio Bellavista, near the Rio Mapocho. The theater of the Universidad de Chile is situated at the south end of the square, near the metro station Baquedano. From the center: From the "Plaza de Armas" you can take the Merced street straight ahead to the east, until you reach Parque Forestal, leading you directly to Plaza Italia. From the Universidad de Chile take the Alameda to the east for about two kilometers straight ahead to the Plaza Italia. There are many buses (called "micros" in Santiago) with destination "Alameda / Plaza Italia / Baquedano" from all parts of Santiago. The destination of the micros is listed in front and on the side of the bus. Take one of these buses and get out at Plaza Italia, near the eye-catching Telefonica building, the highest one of Santiago, and was built in the shape of a phone. Line 1 as well as Line 5 of the metro go directly to Baquedano. The meeting point is at the exit of the metro.